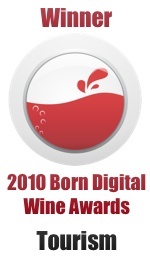 This entry was posted on Friday, February 26th, 2010 at 6:58 pm and is filed under Wine Tourism General. You can follow any responses to this entry through the RSS 2.0 feed. Both comments and pings are currently closed. I’ve been told about the Greek Museum as being very interesting, and I think it is the same one mentioned by Markus. Most of the sites are in on of the local languages, unfortunately.